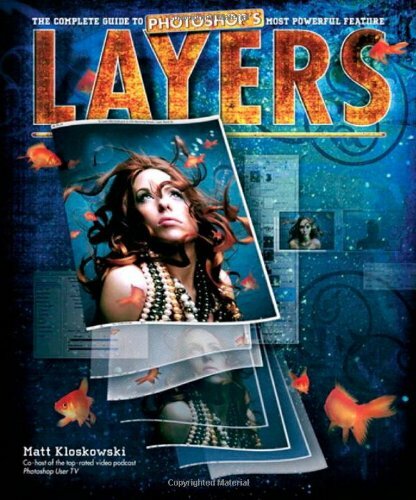 Kloskowski offers a resource which explains exactly how to use the layers feature of Photoshop. From working with and managing multiple layers to using layers to enhance and retouch photos, this Photoshop guru covers it all. When Photoshop guru Matt Kloskowski was asked why he wrote this book, he replied, "It's simple: I wanted to write the Photoshop book that I wished was around when I was learning Photoshop". You've always known that layers were the key to understanding Photoshop, and now you have a resource to show you exactly how. With Matt's clear, easy-to-follow, and concise writing style you'll learn about:Working with and managing multiple layers Building multiple layered images Blending layers together Exactly which of the 25+ Blend Modes you need to worry about (there's just a few) Layer Masking and just how easy it is. Using layers to enhance and retouch your photos All of the tips and tricks that make using layers a breeze.If you want to finally understand layers in Photoshop, this book is the one you've been waiting for.